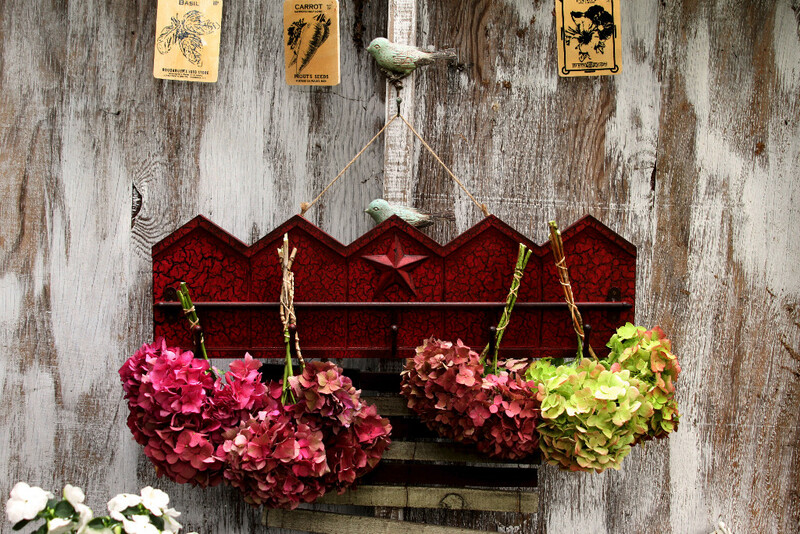 Hydrangeas – Hang to Dry for Winter Color! 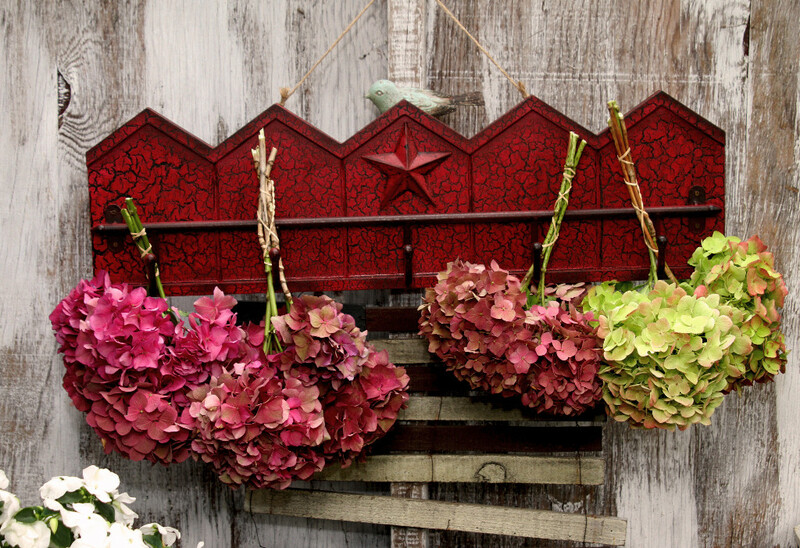 July and August are the time to cut hydrangea blossoms to hang and dry. If you pick them too young they wilt and die…if you want until now they will dry and make beautiful bouquets this winter! They will hold their color quite well if you wait until they begin to age. Or, if you prefer a different color Beverly’s Crafts and other craft stores carry a spray paint you can use on plants! While I prefer to hang my blossoms to dry, I have left them in a vase of water until the water evaporated and they did pretty well. Hanging though, ensures that the blossoms, if they droop, droop in the right direction! 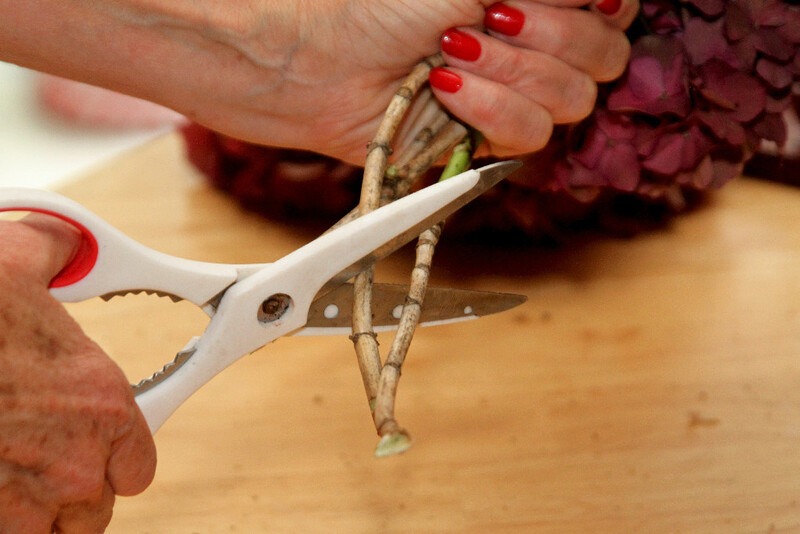 Step One: Cut blooms with stems a little longer than you want them. Then, after gathering a handful (I prefer not to dry more than 3-4 in a bunch) cut the stems close to the same length for ease of tying. Step Two: To secure or “tie” them together I use small rubber bands. Begin at the top of the stem and wind your way down to the bottom end. 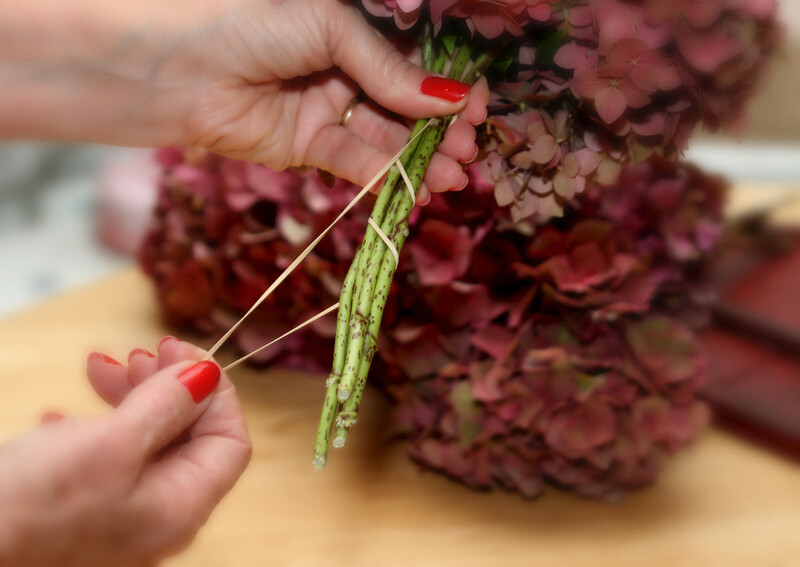 By using rubber bands the blooms stay together even as the stems dry and shrink. 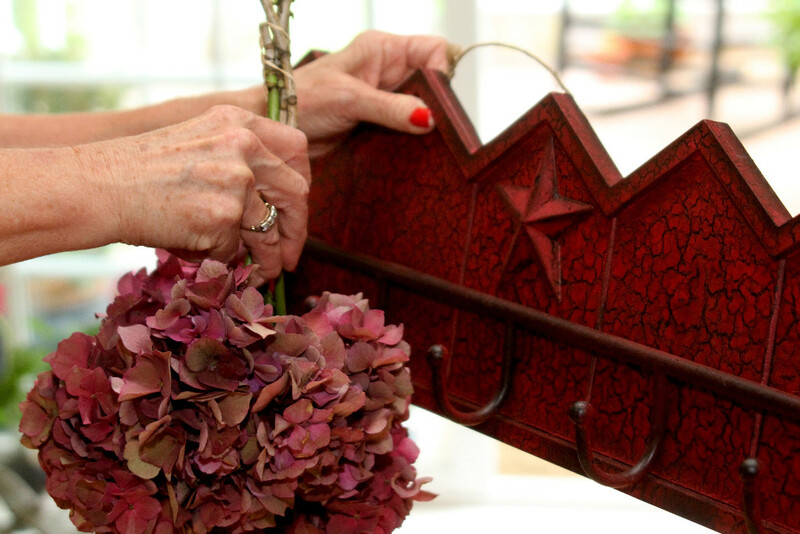 However you chose to do it…pick those blooms and dry them for some beautiful arrangements this winter! If you don’t grow hydrangeas but want some winter color, ask a neighbor if you can pick a few….they’re dying and have to be removed soon anyway if they want good blooms next year! Please “Pin” to share and “like” us on Face Book….you can also sign up to receive updates by email! Happy Gardening! ← Zucchini = Chocolate Zucchini Cake!